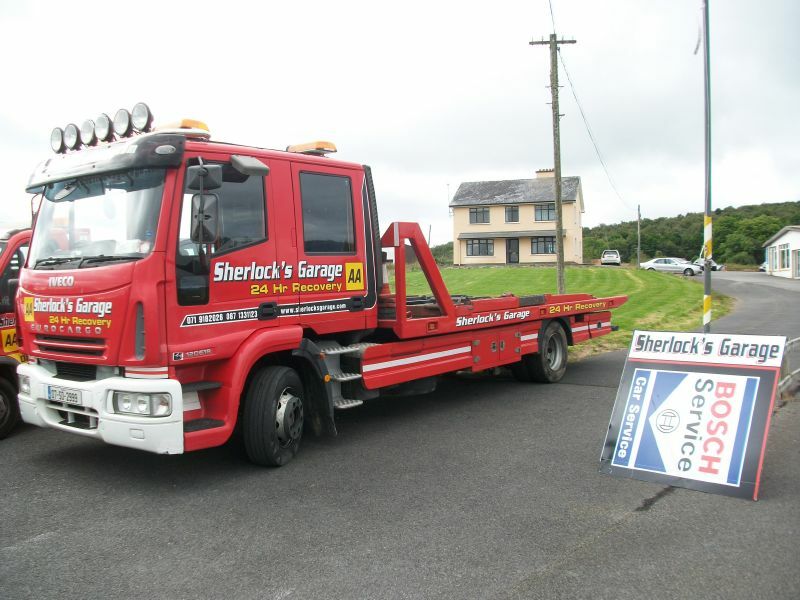 Here at Sherlock's Garage we also operate a tow truck service. 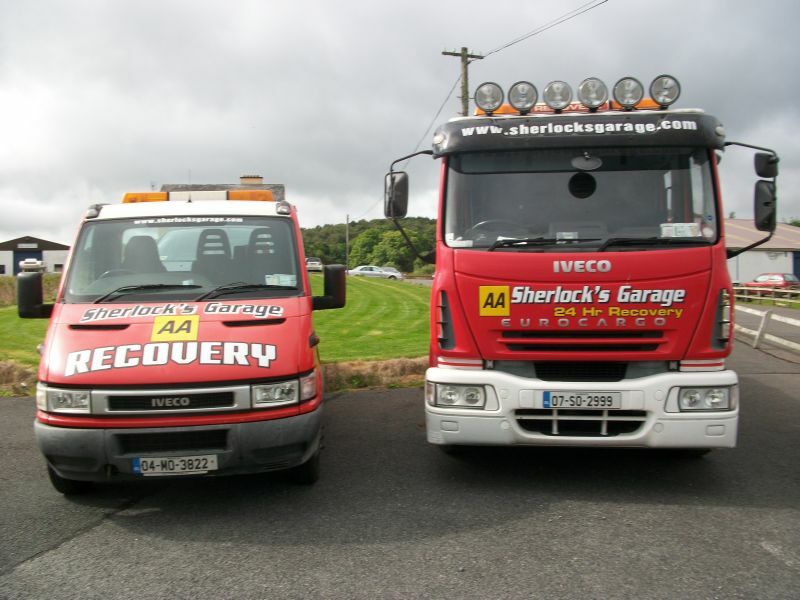 This is a 24 hour service. 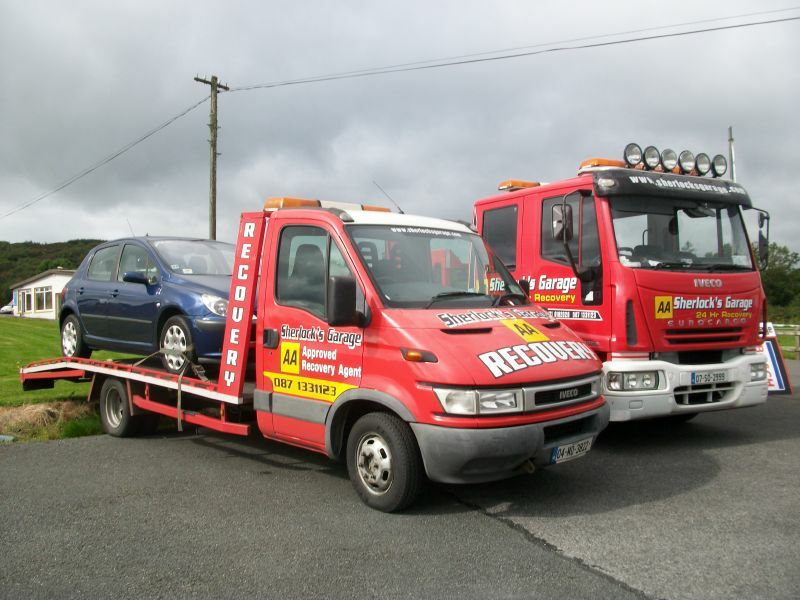 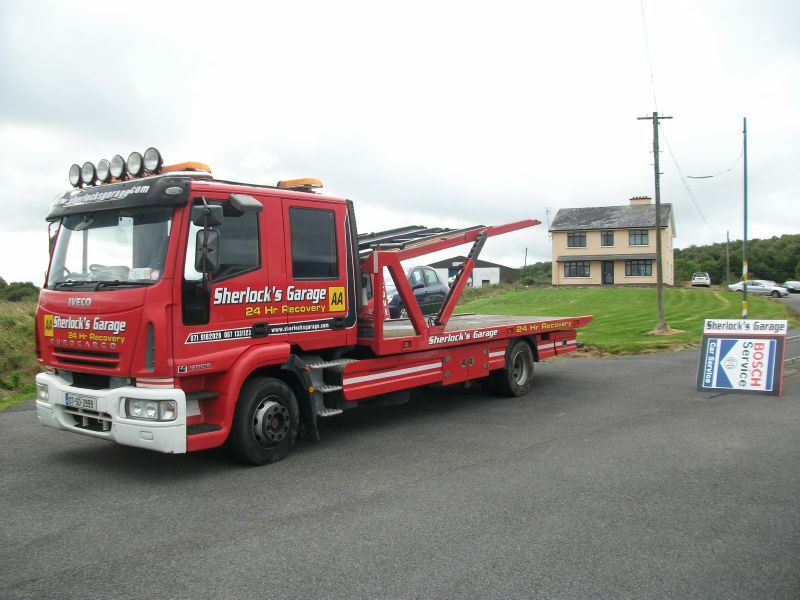 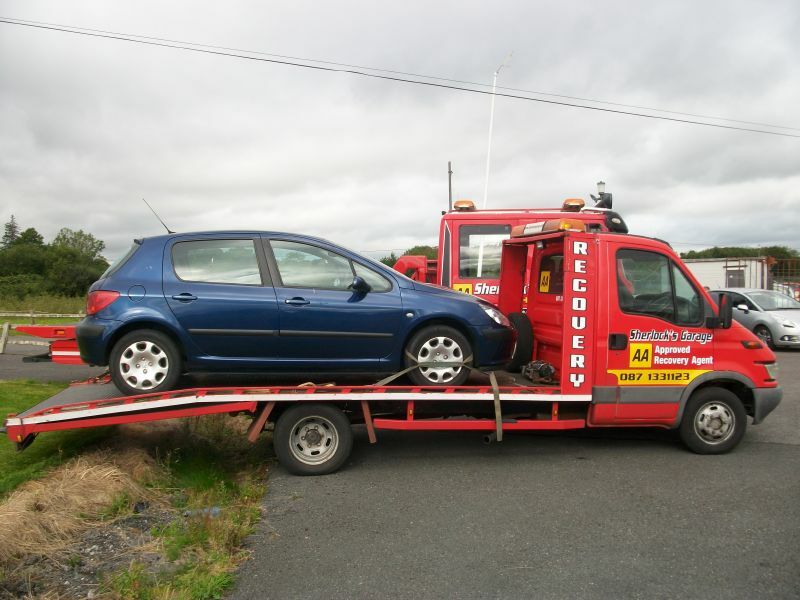 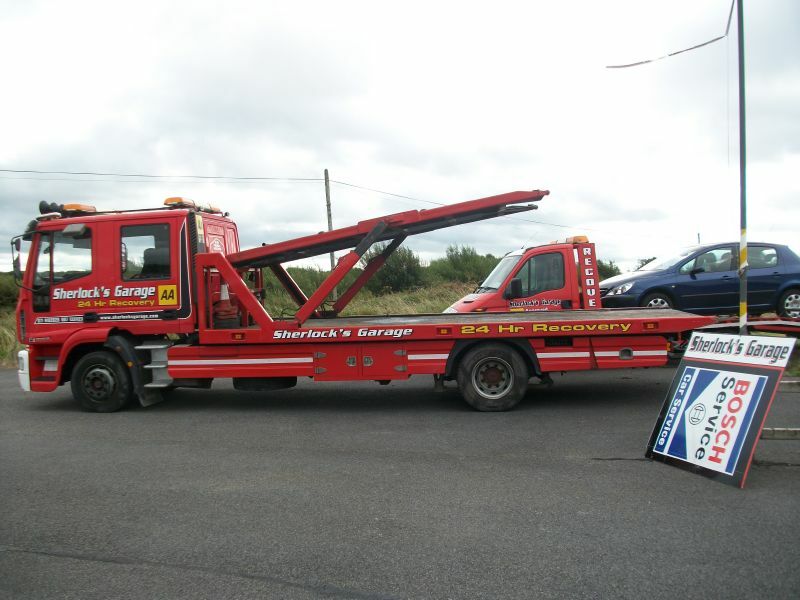 Our towing and recovery service covers counties Sligo, Roscommon, Leitrim and Mayo.